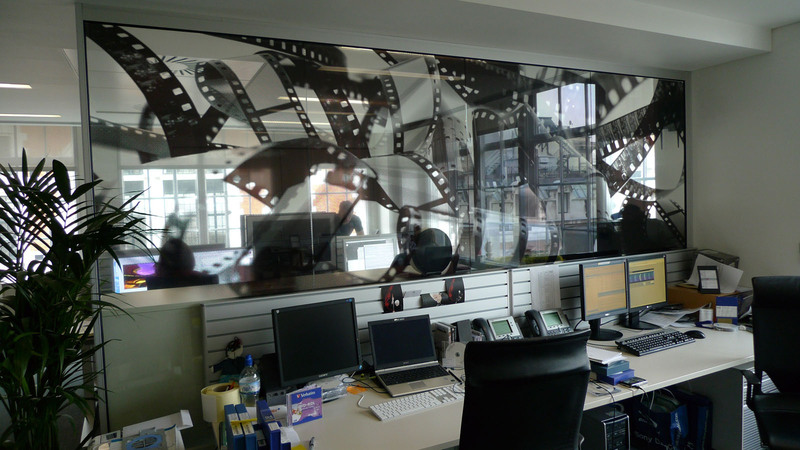 Get Creative with your Glass Manifestations! 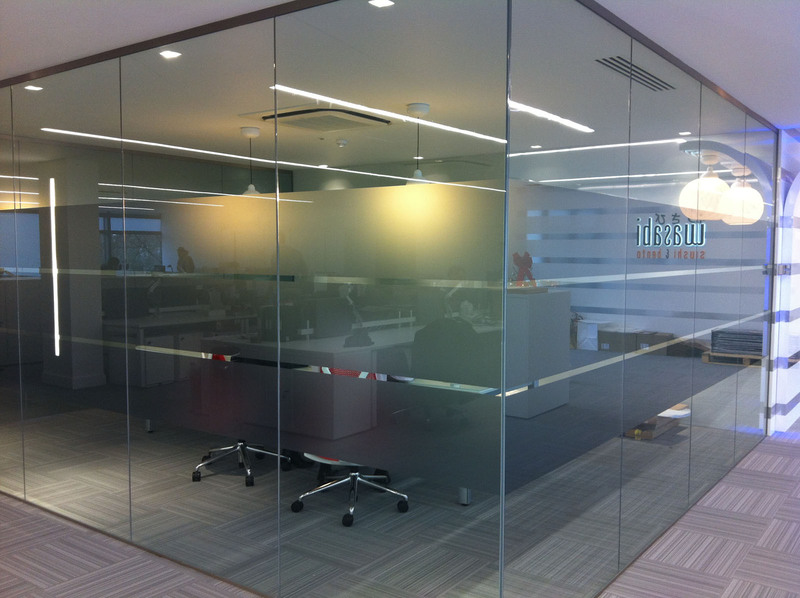 It is now a health and safety requirement to have glass manifestations on any glazed areas including glass partitions and doors to clearly indicate that there is solid glass present. These regulations were brought into place to reduce injuries and prevent people from walking into the glass. 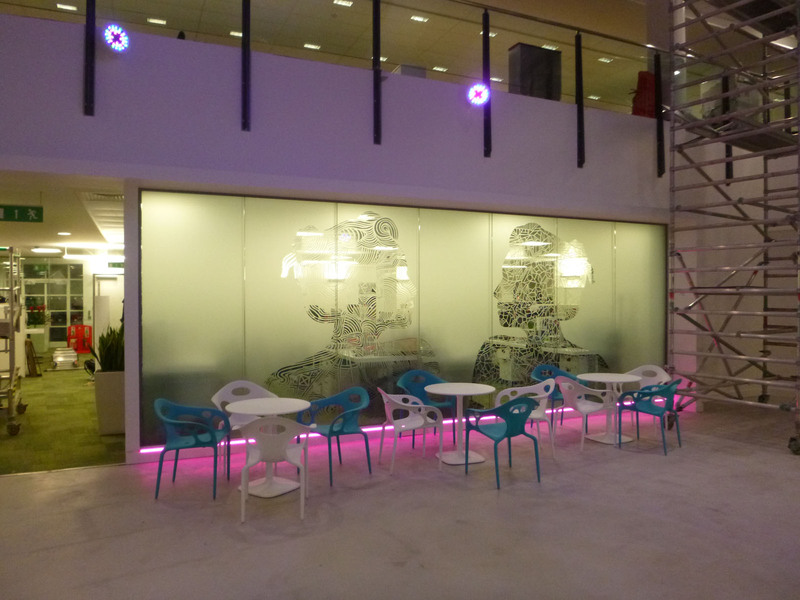 The most popular way to meet these regulations is with frosted vinyl circles or panels – but there is no reason why you can’t get creative with your glass manifestations. 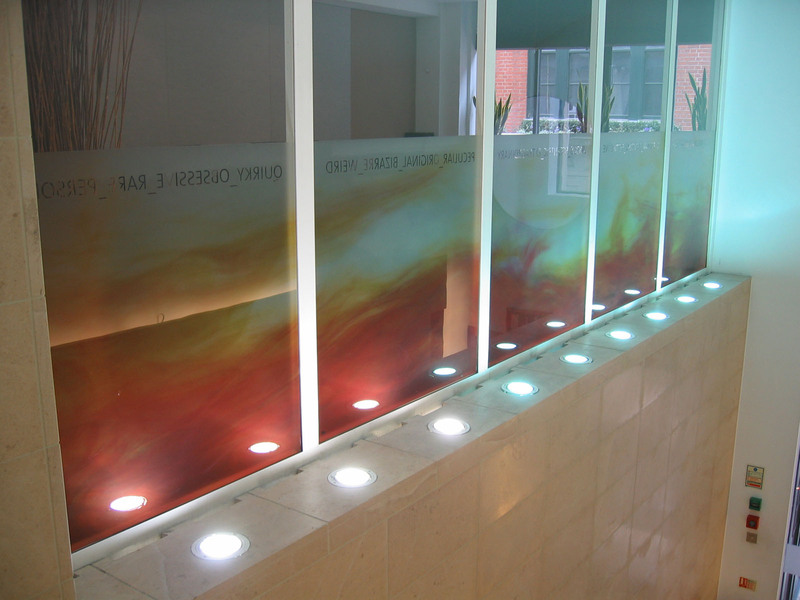 Use the opportunity to create an impressive glass feature whilst still fulfilling your legal requirements. 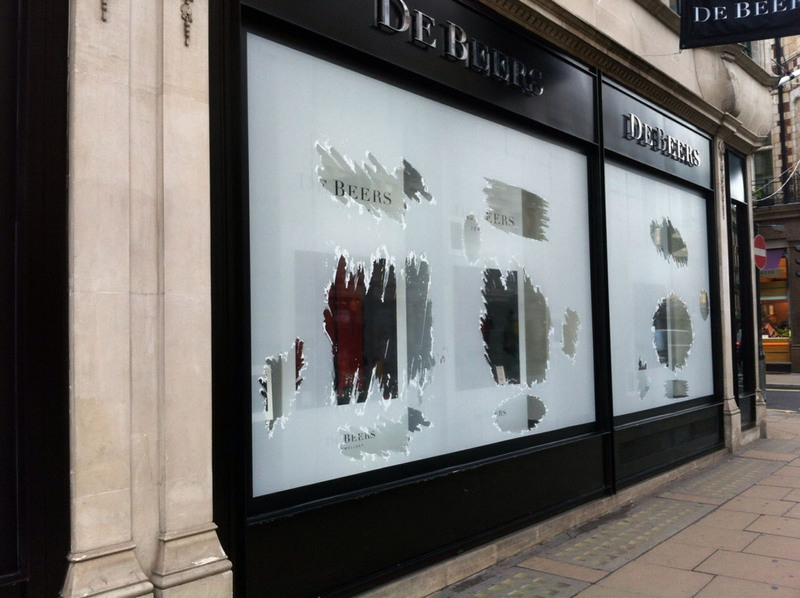 We have helped Architects, brand consultants and fit-out contractors with many different manifestation solutions to create stunning displays. 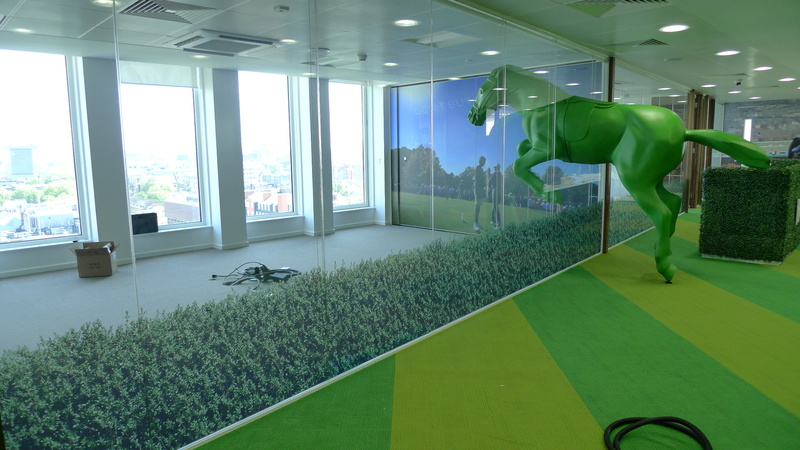 These internal graphics can help maintain consistent messages and brand values, giving bland offices some character. 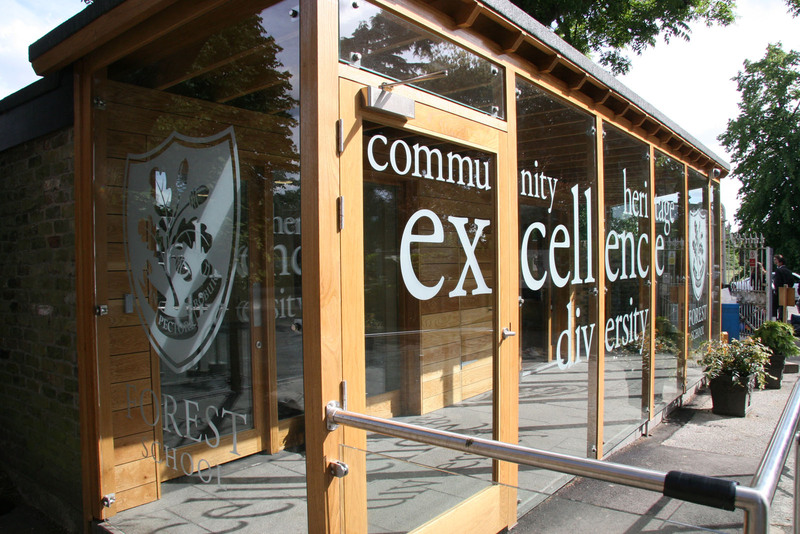 Using frosted vinyl or even printed vinyl is a cheaper alternative to sandblasting the glass and has the benefit of being replaceable should your branding ever change. 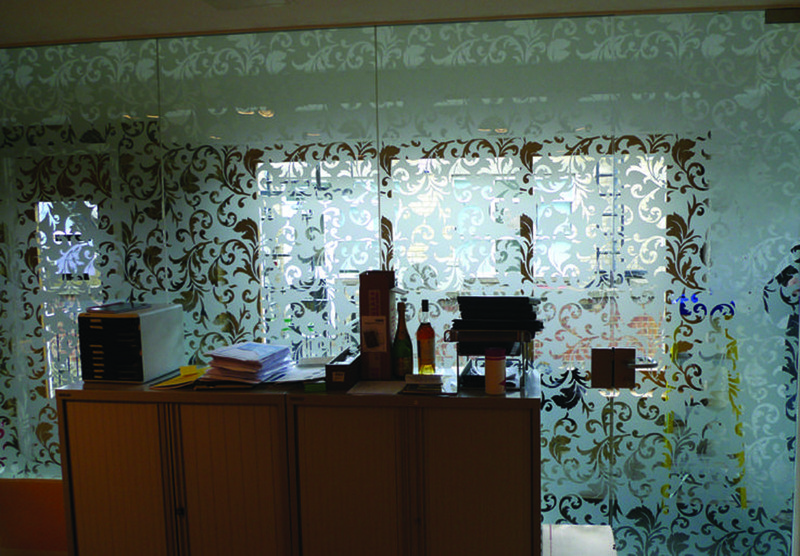 Glass manifestations can also be used to create a feeling of privacy – perfect for meeting rooms and internal offices. 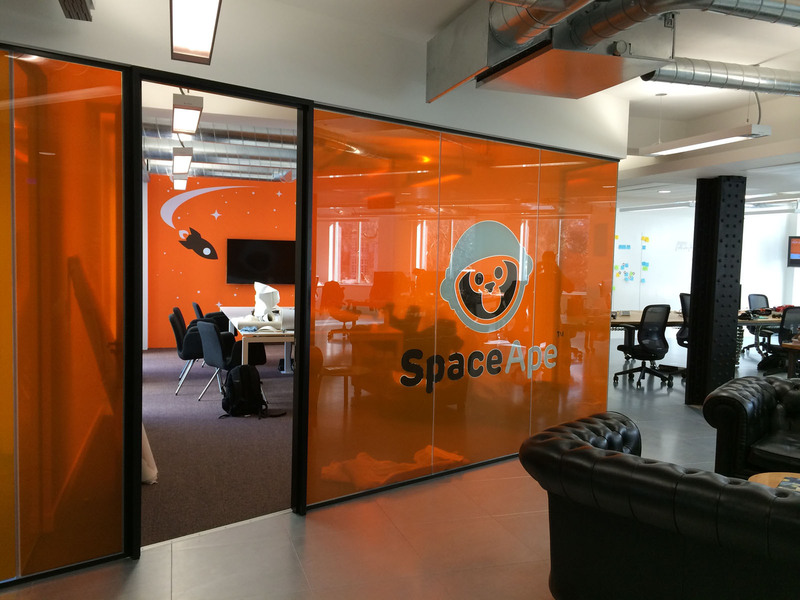 Our manifestations can also be used in retail units, personal spaces as well as commercial offices. 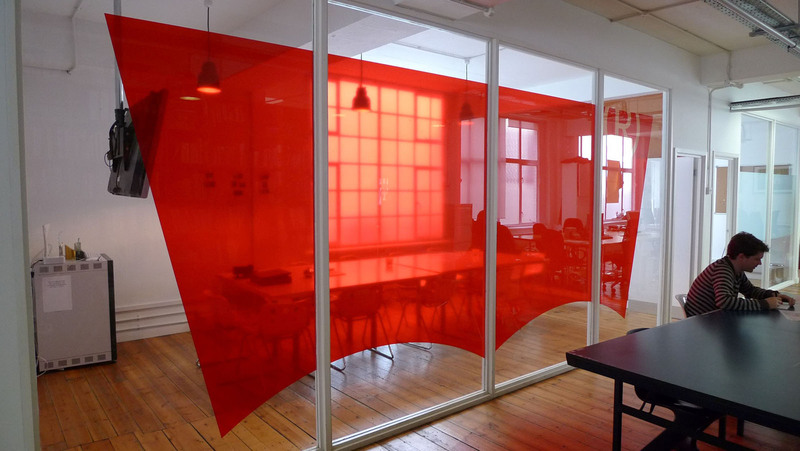 Our professional installers will be able to install your manifestation in no time and help transform your space into a welcoming spot to work, meet or even spend leisure time. 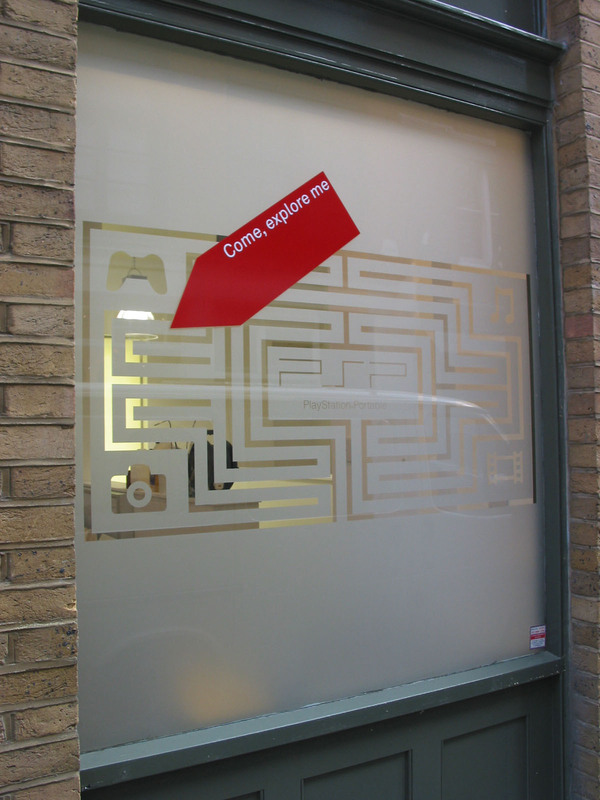 Get in touch to find out how we can help you with your glass manifestation needs! 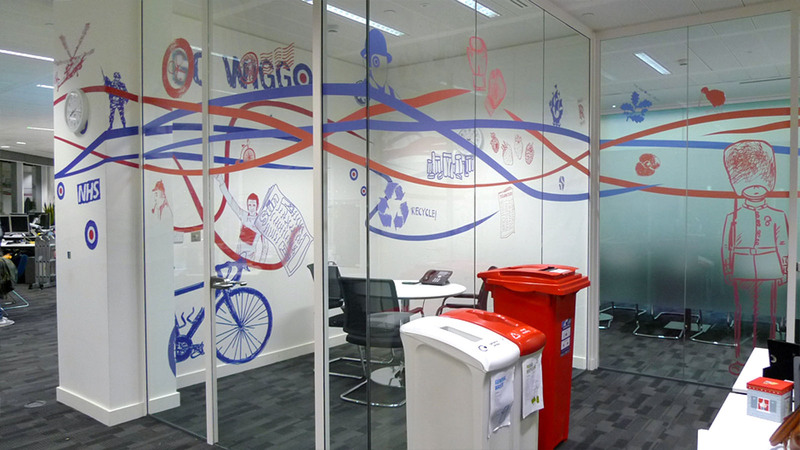 Print and cut vinyl for walls and glass partitions. 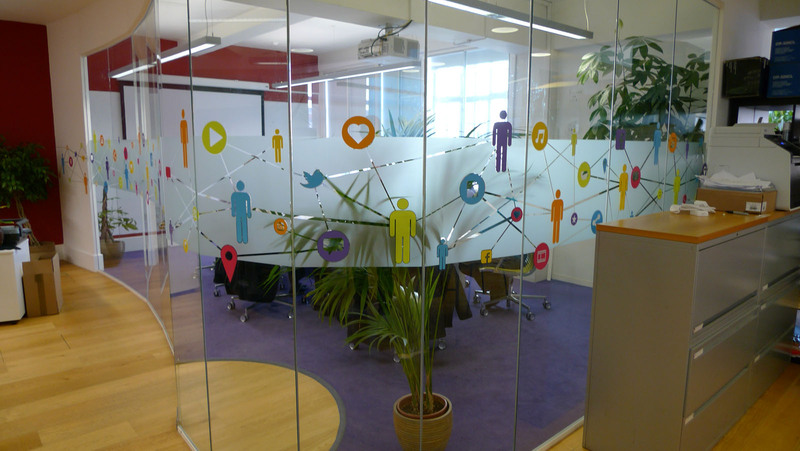 Combination of frosted vinyl and print and cut vinyl. Printed slight tint of green to match brand colours, then backed up with a laminate. 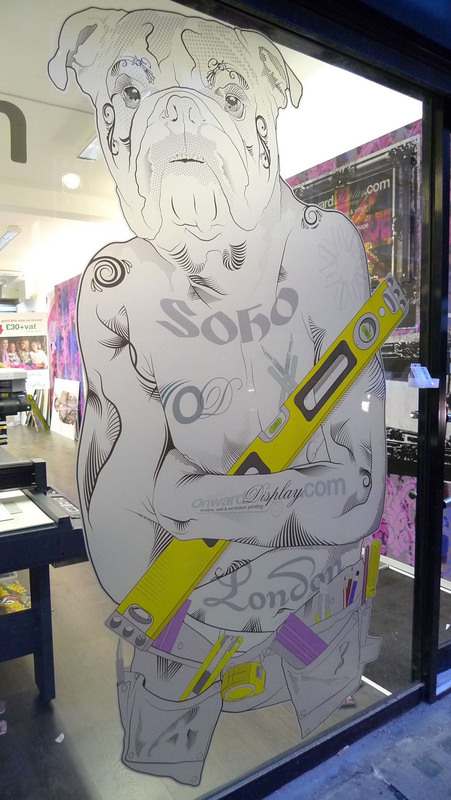 Printed white ink onto optically clear self adhesive vinyl.